With the universe English entrance protocol changing in 2020 listening and speaking are becoming more important. Especially over just doing an exam and getting points for it. 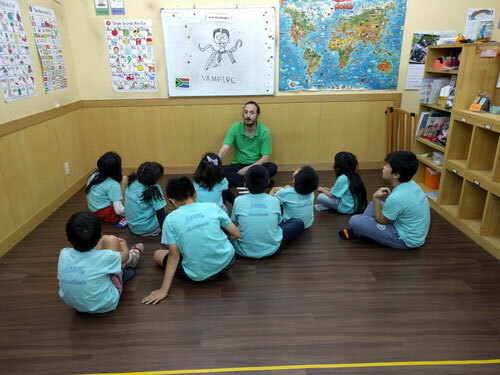 A scene from our G kids class.. Thia class starts from the 2nd grade of primary School 小学２年生. It runs from 5.00 to 6.30 5 days a week, and the minimum amount of time is two times a week. The kids in this class have been in the school for a long time and are really starting to read and soak English by then selves. Unfortunately it's a closed class meaning we don't accept anyone from the public unless they have exceptional English skills and usually the kids don't need to go to English school because they are fluent or proficient anyway. Anyone who wants to join must be interviewed first to gauge their proficiency in English.